Road Rage: What if the Aggressor Has a Gun and Starts Chasing You? On behalf of admin of JML Law, A Professional Law Corporation posted in Car Accident on Thursday, Dec 07 2017. A recent fit of road rage in Pasadena turned into a bona fide action movie, where actors Jason Statham and Liam Neeson would seem like a good fit in the starring roles. The incident served as a stark reminder of just how dangerous road rage is and that confronting an aggressive driver may be a life-threatening experience. In the road rage incident, there was it all: threats to kill three people, a handgun, and a car chase. The incident was reviewed by skilled car accident attorneys at JML Law. The incident took place last week on Los Robles Avenue near Maple Street. The city was just starting to descend into darkness (5pm), when two men – 25 and 21 years old – decided to take their car for a ride. As learned by police, the younger man was learning to drive a manual transmission vehicle, but the engine suddenly stalled (it happens to all people learning to drive manual transmission cars, doesn’t it?). But the driver behind them wasn’t as sympathetic as we are, when he got out of his black BMW to engage in a fit of road rage and yell at the two men. The things he said must have been unpleasant (it’s road rage, after all), as the two exited their car and approached the aggressive driver. A fist fight erupted, and if it wasn’t for a third driver, 45 years old – who stopped his vehicle to break up the fight – things would have been much messier and bloodier. But the incident was far from over. At this point, the aggressor – described as a 180-pound 20-30-year-old white male who is 6-feet tall – went back to his BMW to take a handgun. He pointed the gun at the three men and threatened to shoot them. The two men got back into their car in an attempt to escape the scene. The aggressive driver started his car to chase them. A block away from the scene, the two men were forced to stop their car to let pedestrians cross the road. The aggressor used it to his advantage, got out of his vehicle, approached their car and attempted to open the doors. But they were locked. Eventually, the two men were able to drive away, and the aggressive driver continued to chase them. However, he had to pull off, run red lights and drive erratically when he noticed that he was being followed by the third driver, who helped break up the fight. The third man had to give up chasing the aggressor when the latter started violating traffic rules. The Pasadena police continue to look for the aggressor, who was wearing a black and gray striped, long sleeve shirt, gray pants and black boots. Only the 25-year-old man sustained minor injuries. 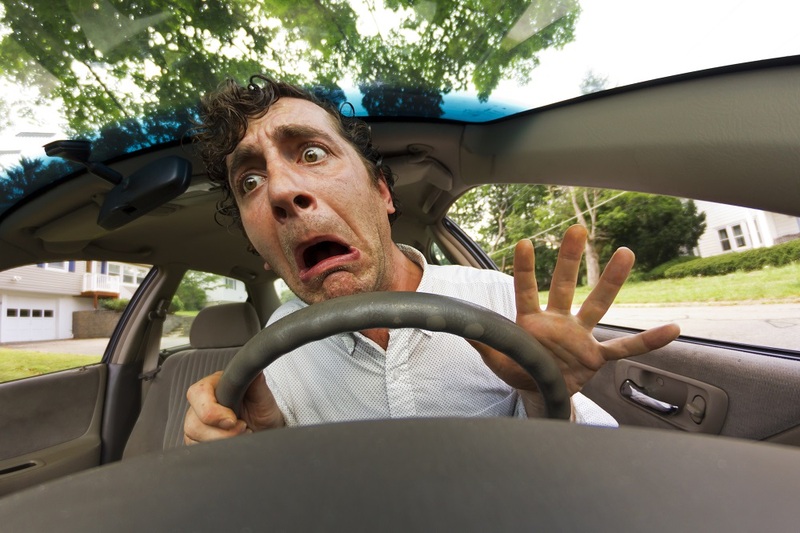 What should you do in road rage car accidents? Our Long Beach car accident attorneys at JML Law advise all motorists in California to (1) always keep their cool and remain calm on the road and (2) never confront aggressive drivers. If confronting an aggressive driver is inevitable, make sure there are witnesses who would confirm to car accident attorneys and police that you had to defend yourself from the aggressor. But in any case, your first priority should be defusing the situation and not responding to provocations. If the aggressive driver tailgates you, drive to the nearest police station (it will likely scare him off), or pull over your car at a public place. And remember: road rage is one of the most common causes of car accidents in California and all across the U.S.
Have you become the victim of a road rage car accident? Consult our Long Beach car accident attorneys at JML Law to learn more about your rights and know your best course of action. Call our California offices at 818-610-8800 to handle a car accident in your best interests.